We’re excited to share with you more news on the participation of the Unicheck team in education oriented events. 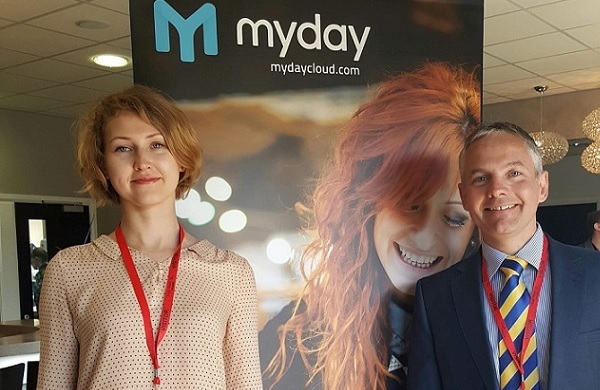 This spring Anastasia Parokha, CEO at Unicheck, went to Liverpool (UK) to take part in the closed-door event initiated by Collabco, the provider of myday. Myday is a service that allows educational institutions to boost student engagement and help them stay focused on their studies. The tool collects and compares information from different sources to find exactly what students need to get ready for their assignments. The aggregated information is then presented to students in a very understandable way. In her presentation at Hugh Baird College, Anastasia told about Unicheck and a number of recently released features that can turn to be of great use when teaching students how to properly cite sources and prevent plagiarism. Among them were citations and references exclusion, character replacement detection, draft check option, and many more. We would like to thank our friends at Collabco again for the wonderful opportunity to be present at the event and speak up on our project and hope to have a nice talk over a cup of English tea someday soon. P.S. : By the way, at this very moment Anastasia Parokha together with Kristina Zakharchenko, the Head of Sales Dept. at Unicheck, are in Thessaloniki, Greece at the EUNIS Congress 2016. Should you be here now, don’t miss out on have a chat with our extremely friendly colleagues! Let’s keep in touch!